Vancouver artist, Judy Radul, has produced a new multi-screen installation for this exhibition. 'Downes Point' was filmed this summer in an arbutus grove on Hornby Island. This coastal landscape is at once dramatic and contemplative. The installation features two panoramic projections spatially configured to implicate the observer in the middle of the mise en scene. What initially appears as a man alone in a clearing in the forest unfolds into an ambiguous interaction between him and a cast of characters who he appears to be judging or casting. In the process of deciphering the scene, it becomes apparent that each image is actually a montage of views that joins what is seen by one camera lens with the view from another. The action is choreographed to accentuate the spatial structures created by the five static cameras which are arranged at precise angles to create an effect that reveals the conical geometry of the lens. Through this formal system, which insinuates an outside beyond the image frame, the artist conceptually introduces absence into the spectacle of nature and demarcates the scene into a spatial architecture. The landscape is turned into a kind of theatrical stage that shows the entrances and exits of the actors slipping in and out of the scene and waiting backstage. The two pieces featured in this exhibition reveal Judy Radul’s longstanding interest in the constituent elements of theatre. As in previous works, she explores the conventions of theatrical performance and cinema in a way that forces the tensions between static staging and moving pictures. With the DVD installation, 'And So Departed (Again)' (2003), footage of a rehearsal is presented on three screens corresponding to close up, medium shot and long shot perspectives. Turning a rehearsal into an endurance performance, five directors rehearse an actress in a death scene for twelve hours. The scenes are improvisations instigated by each director (they were) asked to focus on an enactment of life leaving the body. Here, as in 'Downes Point', the artist choreographs interactions between directors, actors and “characters” that allow for the chance elements of performance and an absurdist sense of humour to surface. Judy Radul was born in Lillooet B.C. in 1962. She has an MFA from Bard College, New York and teaches visual art at Simon Fraser University. Her interdisciplinary practice embraces photography, performance art, audio, sculpture, video, and mixed media installation, and her critical writing has been published extensively. In recent years she had solo exhibitions at The Power Plant in Toronto and was part of Videodreams: Between the Cinematic and the Theatrical at Kunsthaus Graz Austria. Later this year 'Downes Point' will be part of a group exhibition on contemporary Vancouver art at MuHKA, Museum of Contemporary Art in Antwerp Belgium. Presentation House Gallery has published a catalogue in conjunction with this exhibition. 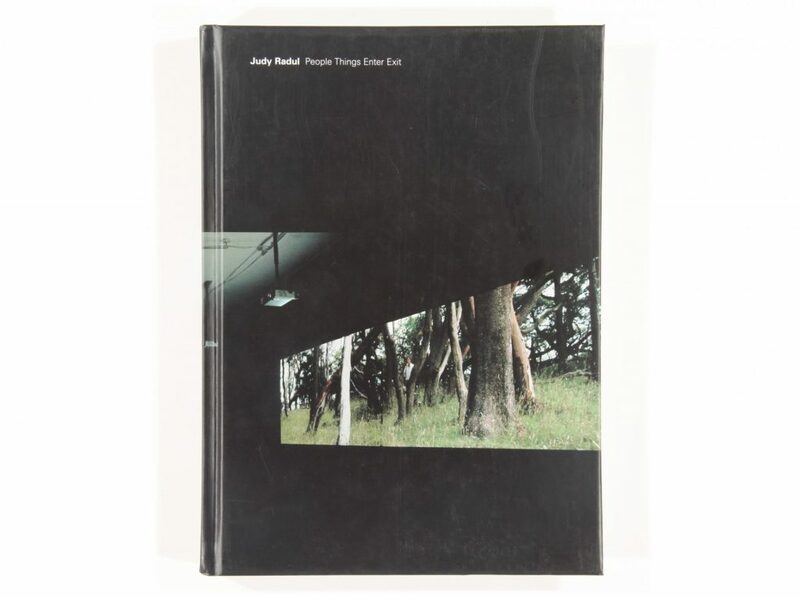 This publication is the first comprehensive catalogue on the practice of Vancouver artist Judy Radul. This richly illustrated, 176-page, hardcover book features in-depth essays by critics Christopher Eamon and Monika Szewczyk, an overview by Helga Pakasaar, and conversations between Radul and local artists Stan Douglas and Antonia Hirsch, and writer Jeff Derksen, that provide further insights into her rigourous aesthetic strategies, and a new way of seeing someone we thought we knew. Sponsored by the Hamber Foundation and the Spirit of BC Arts Fund of the Government of BC.